Happy New Year!! Here are the statistics from the month of January. During the month of January, the absorption rate in Winterville took a huge drop from last month. 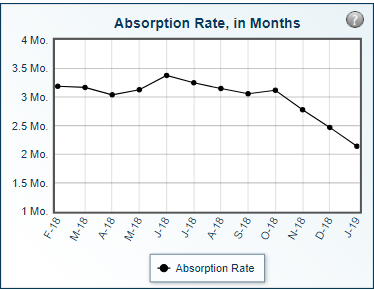 Now, the absorption rate is right at 2.4 months. In Greenville, the absorption rate is continuing to drop as well, but not as rapid as Winterville. 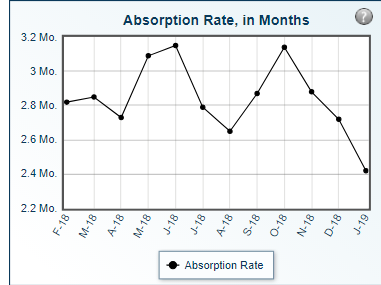 The absorption rate is just above 2 months. In Winterville, there has been a major increase in the number of houses being listed. This could be due to the fact there are a lot of new subdivisions going up in Winterville. With that being said, the number of sold listings is going down. 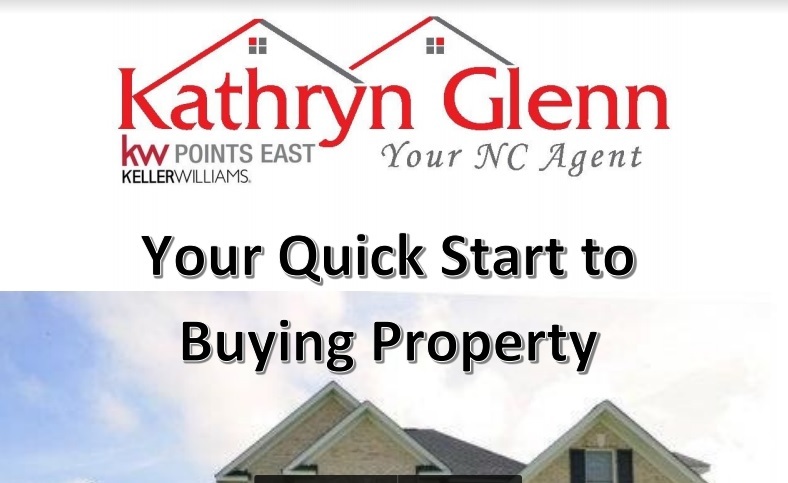 In Greenville, the number of new listings is going up just like in Winterville. 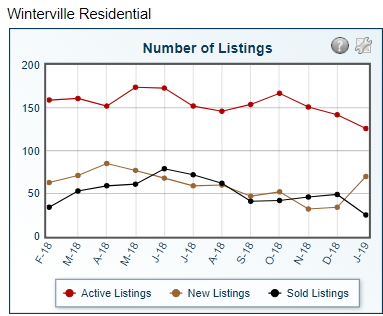 The number of listings being sold is going down as well, but not as dramatically as they are in Winterville. 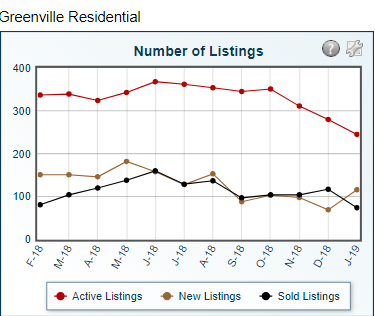 ‘Days on Market’ in Winterville took a downward turn this month. The average days a home is staying on the market is just above 80 days now. Even though that number did go down this past month, the average is still pretty high. This means, if you want to sell NOW IS THE TIME! Greenville on the other hand is continuing to rise when it comes to how long a house is staying on the market. During the month of January, the average days on market was around 75. 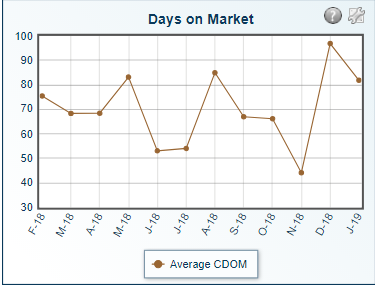 To compare how things are looking in the Winterville area from January 2018 to January 2019 you can see that the average CDOM (days on market) have gone up. 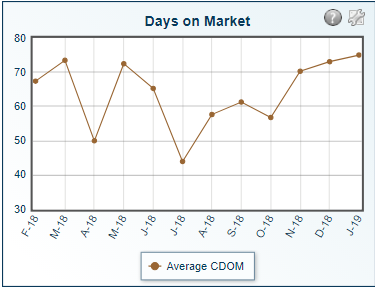 Even though the average has gone down from last month the current trend is that the CDOM is going up. If you are looking to sell your house, again, NOW IS THE TIME. CALL ME TODAY! !